As a growing number of Taxotere lawsuits continue to be filed by women nationwide, alleging that Sanofi-Aventis failed to warn users of the breast cancer drug that they may be left with permanent hair loss, both plaintiffs and the drug maker indicate that they are in favor of centralizing the cases before one judge for coordinated pretrial proceedings. 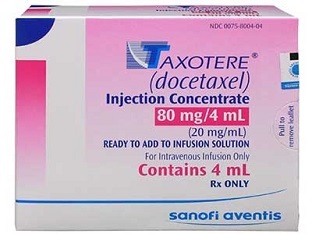 Taxotere (docetaxel) is a high potency taxane-based cancer drug, which was introduced by Sanofi-Aventis in 1996. While it was promoted as superior to existing low potency taxanes, such as Taxol, women have reported experiencing permanent hair loss problems from Taxotere. While hair loss, or alopecia, is a common side effect of chemotherapy, it is usually temporary. According to allegations raised in Taxotere hair loss cases filed in U.S. District Courts nationwide, Sanofi-Aventis knew that their treatment was no more effective than alternative breast cancer treatments, yet carries a substantial risk or permanent alopecia. However, plaintiffs allege that false and misleading information was provided to consumers and physicians. Plaintiffs maintain that Sanofi-Aventis knew or should have known about the link between Taxotere and hair loss problems that continue for years following treatment, yet placed their desire for profits before consumer safety, providing false and misleading information to the medical community in the United States. However, in several other countries, Taxotere warnings have been updated to include information about the risk of permanent hair, but the same information was not provided to American women and doctors. If the cases are centralized before one judge for coordinated discovery and pretrial proceedings, it is likely that a small group of cases will be prepared for early “bellwether” trials to help gauge how juries may respond to certain evidence and expert testimony that will be repeated throughout the litigation. While the outcome of such early trials will not be binding in other cases, they may help the parties reach Taxotere settlements for women suffering permanent hair loss problems, avoiding the need for dozens of individual trials in courts throughout the U.S.